A capacity audience of family and friends gathered to see the cadets pick up accolades for everything from the best academic results to skills and community engagement at the 60th Sabena Awards. The event also saw another 60th anniversary marked with one time air cadet turned staff member Brian Luke, 75, who now volunteers with 346 (Tynemouth) Squadron as a Civilian Instructor, presented with a special long service award to commemorate his milestone achievement. The Sabena Awards – named after the former Belgium national airline which donated a trophy to the squadron for the best all-round cadet – recognise the hard work and dedication of the 346 team. 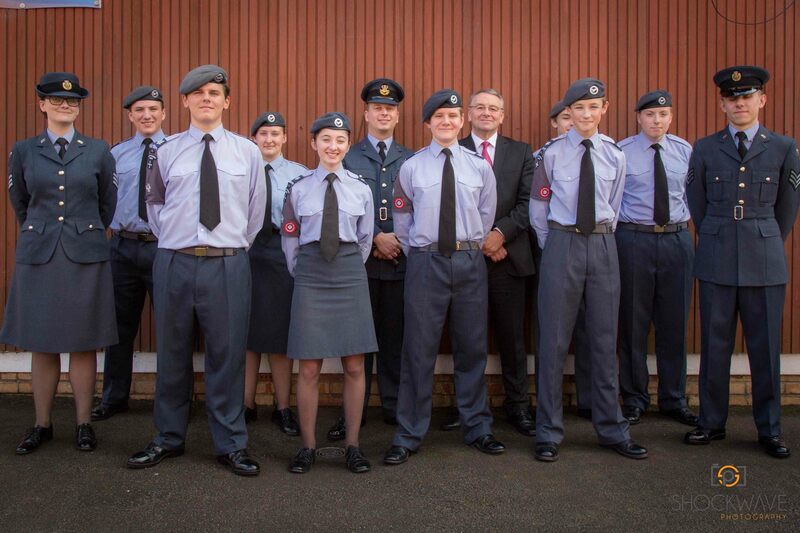 The cadets were joined at the Diamond Jubilee ceremony held at Christ’s Church C of E Primary School, North Shields, next to the squadron’s Military Road headquarters, by Tynemouth MP Alan Campbell, who handed out the prestigious awards. The top honour of the Sabena Trophy was won by Sgt Elliott Rogers, 17, who has recently returned from a life-changing expedition to South Africa that saw him and seven fellow squadron colleagues working with an impoverished community. 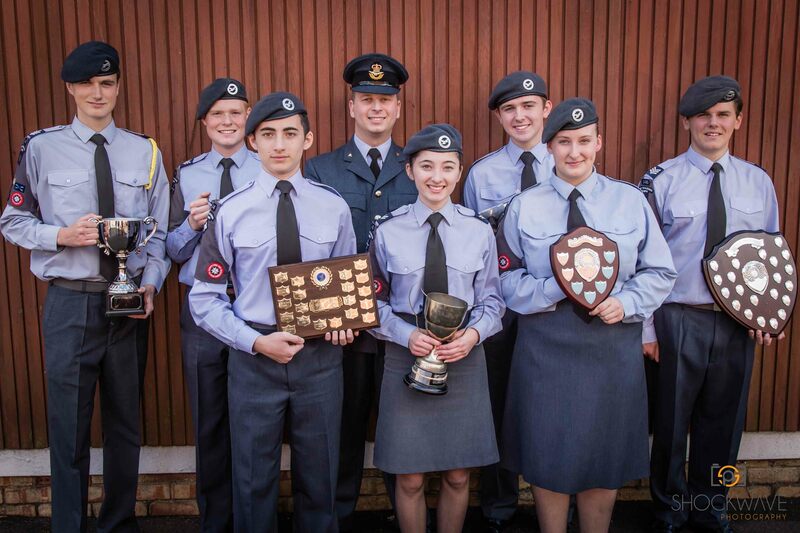 The squadron’s Officer Commanding, Flt Lt Dan Laidler, said the trophy is given to the cadet who has not only achieved well academically, but who has taken part in a number of events, including giving up time to collect for the Royal Air Forces Association and the Royal British Legion. The recipient must also have conducted themselves to an exemplary standard across the squadron and at events at Wing level routinely and selflessly, and been a role model to other cadets on the unit. He said: “While all our youngsters have exceptional qualities that ensure we have a well-rounded troop, in the end it was Sgt Rogers’ hard work, commitment, team spirit and willingness to go that extra mile that saw him walk off with this esteemed trophy. Sgt Rogers also won the Best Senior Examination Results for 2014 prize. Number One Flight, which he commands, picked up the Best Flight for 2014. 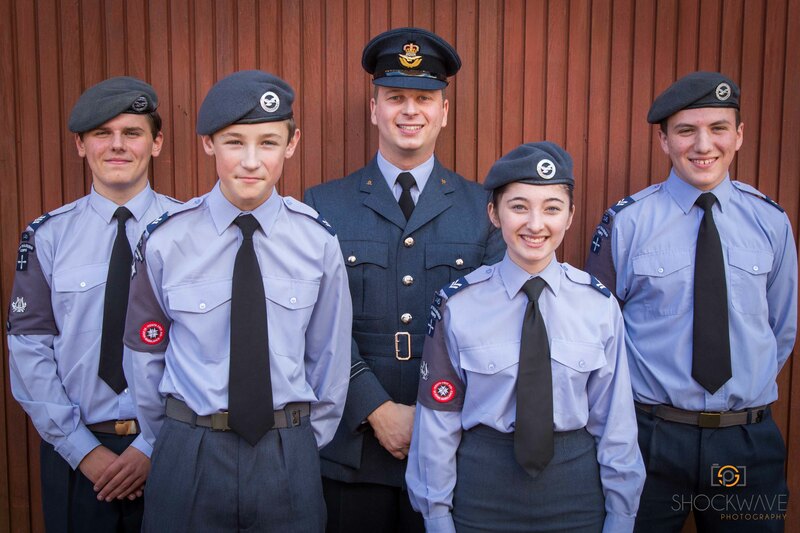 Three cadets were also promoted to Corporal: Amber Robson, Jack Sherrin and James Webb, all 15. Cpl Calum Hartwell was promoted to Sergeant. Flt Lt Laidler said it had been a privilege for him to have been involved with the 60th Sabena Awards. “The squadron is one of the oldest in the country having been set up in 1941 to help prepare young pilots for wartime service. “This year’s winners form an illustrious line of 346 cadets who over the past six decades have been recognised by this squadron for their dedication, skill and character. Flt Lt Laidler also praised the dedication and commitment of the squadron’s adult volunteers, in particular Brian Luke – 346’s Equipment Officer – for this 60 year association with the Air Training Corps. He said of Mr Luke, who was given an Air Training Corps pocket watch: “It is a real honour to have presented him with a memento of his time at 346. He is a real stalwart of the squadron and companion to any officer commanding. “Over the past 60 years Brian has assisted cadets in adventure training, camps, transport to and from flying and gliding days and is dedicated in supporting their syllabus training. As part of the formal Sabena presentations, guests were treated to a cadet band display as well as talks on the South Africa trip and the squadron’s involvement with the Duke of Edinburgh’s Award. Flt Lt Laidler also outlined some of the squadron’s achievements during the past year, including working alongside Northumberland County Council’s countryside officer at Bolam Lake to assist in the maintenance of the woodland, footpaths and plant life, and helping out at the Tynemouth Classic VW Rally. “It is a great privilege to have commanded 346 over the past year, and to see the squadron and its cadets develop over that time. Seeing how much the cadets have gained and grown in confidence and stature is a real delight,” he said.